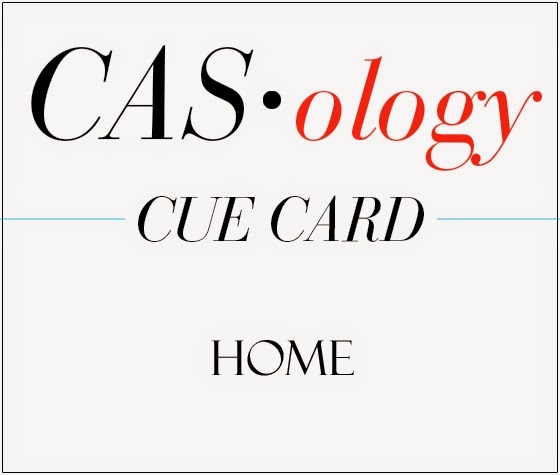 This week's CASology Cue Card is Home. I used a well-known quote and some symbolism (ruby red sparkly paper) to hopefully connect with a memory (Wizard of Oz). 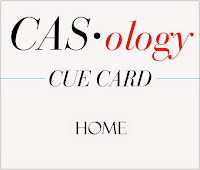 Sometimes in card-making, flexibility is key. I started with the Memory Box row of houses die. Then (after I cut it haphazardly on a strip of white scrap) I realized that it's really a border die. No problem, I straightened it out and trimmed it up so that it could sit along the bottom of my card. I then used a scrap of red glimmer paper to cut out just one of the houses and glued it on top, to show that this house is special - it's 'home'. 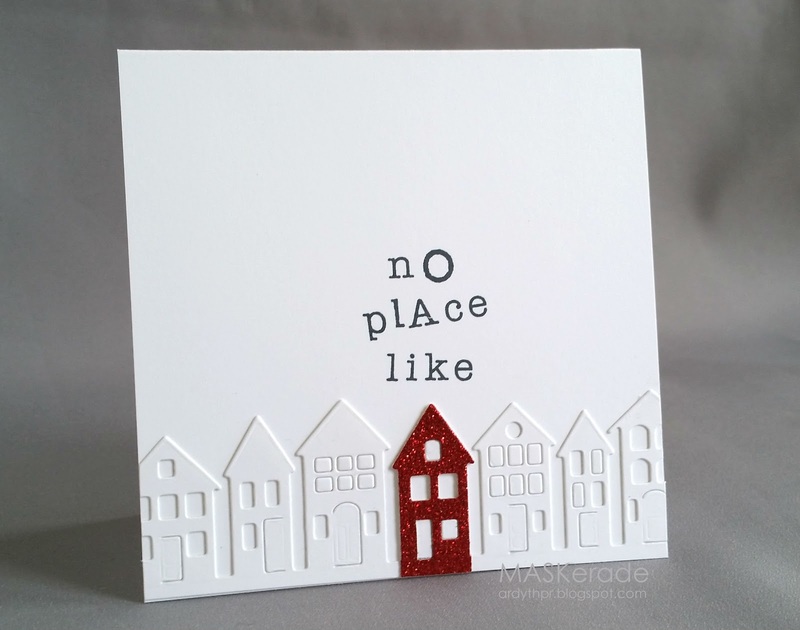 I don't have a 'There's no place like home' sentiment, so I figured I would use a type-writer (Inkadinkado) font to create my words. Being a clever girl, I started with the bottom word to ensure proper spacing and placement. Took me a while to find the 'l' (losing letters is really the biggest problem with clear stamp alphabets, I find) but I got 'like' stamped. Then I couldn't find the lower-case 'a' for 'place'. UGH! I really didn't want to start over (I hear there are people who plan their cards BEFORE they start them - not me! ), so I figured I could mix it up a bit by using the upper-case 'A' instead. To make it look authentic, I then used a lower-case 'o' from a bigger type-writer font (Hero Arts). And until I told you this story, you had no idea that this wasn't my plan all along, did you? You just thought it was edgy and artistic, didn't you? lol! I thought you had planned the sentiment that way--and that you were brilliant because of it. Wonderful glittery red house--I am proud of myself for 'getting' the Wizard of Oz reference. I'd like to live in a sparkly red house! Your sentiment is perfect! You have nailed this one Ardyth! Absolutely stinkin' creative. Now every little girl should have a pair of ruby slippers...and every woman should have a ruby house!! ...oh and definitely edgy and artistic! A lovely CAS card Ardyth!, if I didn't read through, I would have have thought that you planned everything, it came off really well! This is pure magic Ardyth. I love your sentiment, the font and placement and leaving the word home off and letting your glitter home speak for itself. Genius. You are always edgy and artistic Ardyth, but today's is just fab. Glad it's not only me that 'needs' stamp sets in multiple sizes, just in case. Love, Love, Love this! Thanks for sharing your artistic details/process! This is such a fantastic creation! Love this MUCH!!! Glitz and CAS!!! Brilliant, Ardith! The ruby house is just brilliant! Yup - totally thought the sentiment was planned! It works perfectly! Hate when stamps go missing - so annoying! Love the sparkly red house - how cool to live there!